Smartphone users have had plenty of options to choose from this year as the world’s largest mobile phone manufacturers introduced flagship devices to eager audiences. Though the improvements over 2013’s models have been more iterative than revolutionary, the picks this year have stood out from the pack, be it for ultra-high-resolution displays or superb camera technology. The trend this year has also been to bigger phones. Even Apple’s got the “big” religion, with its iPhone 6 Plus “phablet”. 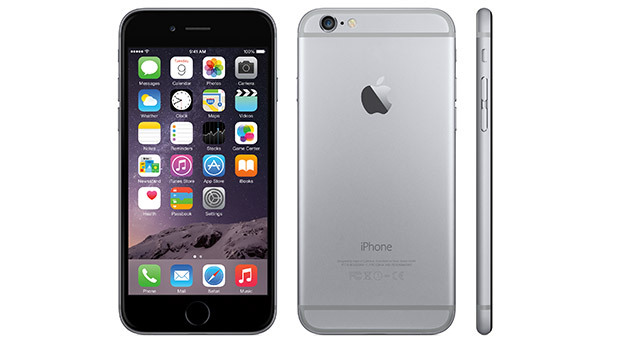 Even the company’s smaller iPhone 6 model is noticeably bigger than last year’s 5s. Indeed, the smallest screen size in this year’s line-up is 4,6 inches, while the largest screen is a gargantuan 5,5 inches. Of course, it’s difficult to draw up a list like this when there are so many great devices to choose from. Samsung didn’t make it this year, though if our list was of the top 10 phones, its Galaxy Note 4 would have featured prominently. There were also some unusual phones released in 2014. An example is the BlackBerry Passport, a surprisingly good smartphone despite its controversial squarish design. Huawei also showed us that it has what it takes to produce a great smartphone with the Ascend P7, but it was not quite good enough to get into a top-five position. Still holding out on that upgrade? You won’t go too wrong with any of these phones. 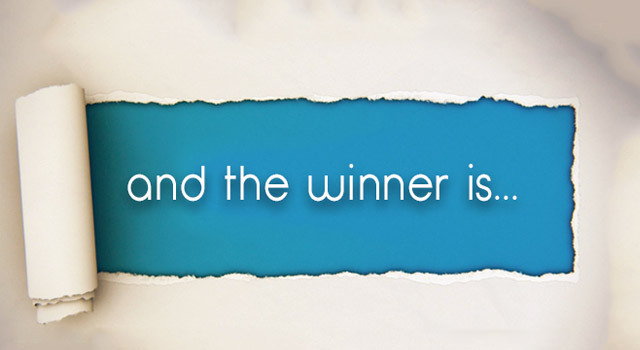 The Lumia 930 is the only Windows Phone that’s made the cut in this year’s list. As we have come to expect from Nokia Lumia devices (soon to be called Microsoft Lumia devices), the hardware quality of the flagship 930 is top notch. 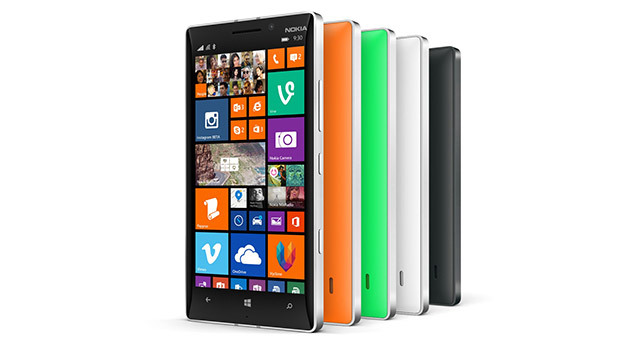 Offering a vivid, 5-inch display, the Lumia’s best trait is its 20-megapixel PureView camera that features optical image stabilisation and is able to produce really impressive photographs. If you use your smartphone as your primary camera, you’ll want to consider this phone for your next upgrade. Although we are still hoping to see a richer ecosystem for Windows Phone, we love the user interface. We can only hope that with Microsoft at the helm, the Lumia range will become more popular among mainstream consumers and that app developers will follow en masse. Read TechCentral’s review. We’ll be the first to concede that the Sony Xperia Z3 Compact is an interesting choice for this list. We’ve chosen it mainly because of its size — its 4,6-inch display makes it the only Android phone on the list not pushing phablet territory but also delivering high-end performance. It fills an important gap in the market that Android phone manufacturers have largely ignored. The Xperia Z3 Compact boasts a superb 20-megapixel camera, making it the most versatile high-end smartphone on the market today — it even shoots 4K video. And it holds a special card up its sleeve, an “all terrain” rating of IP65/68, meaning it can be held underwater for up to 30 minutes and is dust proof. In other words, it’s built for Africa. Although the Z3 Compact is a smudge and fingerprint magnet, it’s one tough smartphone. 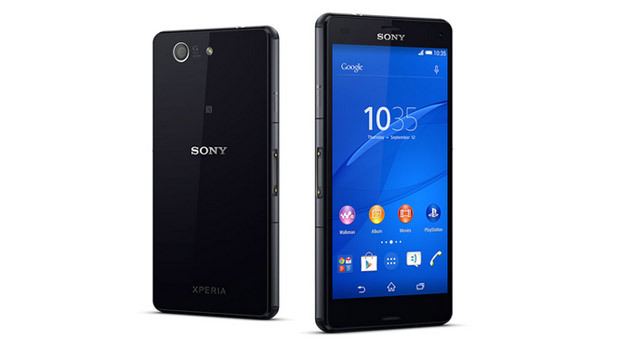 If you fancy this phone, but would rather have a bigger device, check out the equally impressive Xperia Z3. Read TechCentral’s review. Bigger is bigger, according to Apple. Indeed, the company’s two new phones, the iPhone 6 and iPhone 6 Plus, represent a big break from tradition. The iPhone 6 features a larger (compared to its predecessor) 4,7-inch display and checks all the boxes in terms of design that we have come to expect from Apple. Although the iPhone 6 has been criticised for its less powerful hardware compared to other high-end devices released this year, it is still a great performer due to the fact that Apple’s “walled garden” approach gives it full control over its hardware so it can optimise performance better than many other manufacturers. The iPhone 6 is a must-have for Apple fans and offers the best upgrade in the iPhone line-up to date. It’s not cheap, though. Read TechCentral’s review. 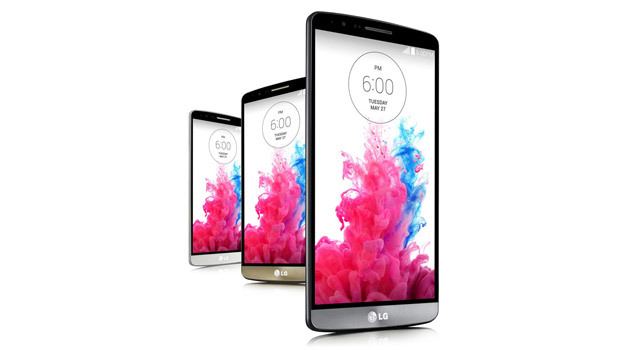 LG Electronics set the bar high when it launched the G3 earlier this year. For a while, it was lauded as the best high-end Android phone on the market, and in many ways it still is. The reason is that the G3 offers the most complete high-end package in terms of performance and design, while its vivid 5,5-inch display screen steals the show for many users. Not only does the G3 have a super thin bezel around the screen, but it has one of the highest-resolution displays yet seen on a phone, with a pixel density of 534ppi. The G3 also proved itself a worthy tool for photographers thanks to its laser focus, 13-megapixel image sensor and its optical image stabilisation. LG also did not mess with the operating system too much, with users getting an almost vanilla Android experience. It’s also one of the first phones likely to get the Android 5.0 “Lollipop” update. Read TechCentral’s review. 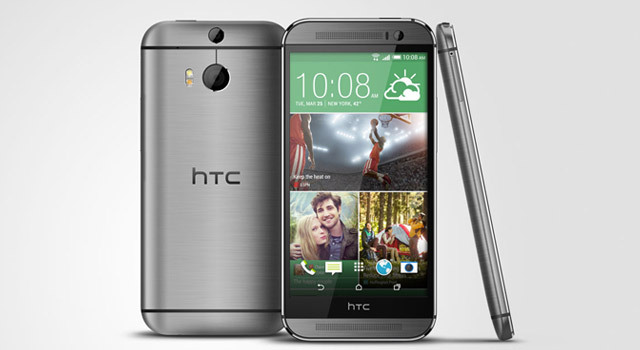 It was a close race between our top three contenders, but HTC stole the show this year with the truly superb One (M8). The Taiwanese company delivered its latest flagship smartphone to a waning but dedicated fan base, delivering a phone that took the company back to its roots — a solidly constructed smartphone with all the bells and whistles one could want. The 5-inch One (M8) hit the sweet spot in terms of screen size while managing to outperform the LG G3 in many day to day tasks. Although the dual 4-megapixel cameras on the One (M8) let it down, the dual front-facing speakers were a great addition, turning any video into an enjoyable cinematic adventure. With the One (M8), HTC has improved on 2013’s already very good One (M7). I would replace the iPhone 6 with the Galaxy Note 4 from Samsung, with that said, can’t wait to get myself the Lumia 930 in a month’s time! Regardless, S4 and S5 will continue to be the mainstream go-to phone. Probably just good marketing. Now I need to feel that One in hand. The let down will be the camera, but it seems to make up for it in several other ways. What about the old call box the best ever all weather Phone Now you walking with a Bar code on Head and you Phone is Spying on you privet life ! Like tracking device in a stolen car You Boss can Check on you wen ever he wants to ! And Best of all the Tracking soft where is free on the internet ! Plus don’t forget the incredible battery life, which lasts 50 – 100% longer than any other in the same category. Check out the GSM Arena battery test, it’s truly remarkable. After all, what good is a phone when the battery is dead. It takes more than a good design to make a good device: you need a good build(water and shock resistant is arsenal) and after sales service, for this reason the HTC should not even have been considered for No.1, the G3 on the other hand is a strong contender, but the Sony Z3 is in a league of its own with excellent performance, battery life , excellent durability, frequent updates and best of all : a unpolluted Android OS but is let down by a too high price tag. Price should be one of the top considerations in a third world country with a weak currency. For this reason the Huawei’s , Acers, Asus and Hisence phones should have a place on the list too. The iPhone 6 doesn’t belong on this list, its highly overrated and expensive! I would vote Xperia Z3 Compact, LG G3 and HTC One (disappointing camera). Also Nexux 6, OnePlus One, Motorola Droid Turbo and Moto X, Galaxy S5.